Most flowers given to the family at a funeral are blooming or tropical plants. Florists rarely send plants that can be transplanted outside. Rather, most florists prefer to offer greenhouse-raised plants with large, shiny foliage and large, soft flowers in bright colors. Tropical plants frequently seen at funerals include the peace lily (Spathiphyllum,) schefflera, pathos Ivy, ficus tree and rubber tree. Blooming plants include azaleas, gardenias, chrysanthemums, kolanchoes, hibiscus and gerbera daisies. To take care of funeral plants, you must first determine the type of plant. Research and identify each plant that you received at the funeral service. If there is not an identification tag on the plant, look at the sympathy card and call the florist where it was shipped from to find out the plant variety. Once you know the type of plant, you will be able to research the correct light conditions and temperature for the plant to thrive. Each type of plant has different growing requirements, so there is not only one way to raise all plants received at a funeral service. Move the plant to a new pot with new potting soil immediately after the funeral service if it is not in a well-drained flower pot. Most funeral plants are planted in a planter's pot and placed in a plastic-lined basket that holds water. This prevents the plant from leaking and ruining the furnishings of the funeral home. However, the root system of the plant will quickly rot if left in the basket where water and moisture collect. 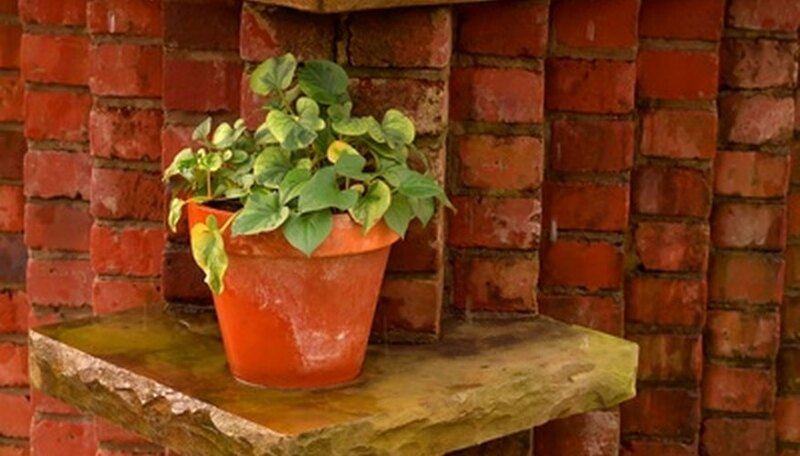 Plant the funeral plant in a pot that is 1 inch bigger in diameter than the present pot. Plant the specimen at the same depth it was in the previous pot. Place the plant in a location where it receives the recommended amount of light and warmth according to your research. Most plants received at funeral services can live indoors for a considerable length of time. Avoid placing the funeral plant in a drafty area. Water with a water soluble fertilizer diluted to half-strength every other week and add water when the top 1 inch of soil is dry.